Only few things could offer a higher satisfaction than reading a fine book from cover to cover, with sharing one being among them. And for those longing for the experience, there is now another location of the Little Free Library (LFL), world’s largest book-sharing movement, in Virginia. 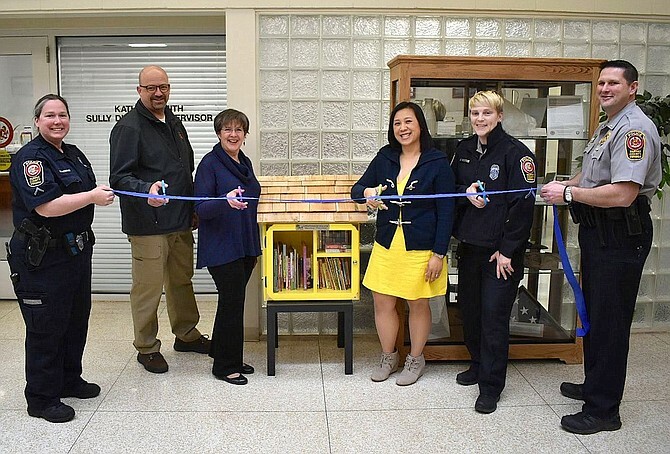 The latest Virginia addition to the network of more than 80 thousand mini-libraries in over 90 countries around the world is at 4900 Stonecroft Boulevard in Chantilly, right at the lobby of Sully District Governmental Center. The idea of establishing a free library without any restrictions for all readers in Sully originally belonged to a resident and was supported by the local law enforcement. Residents and others alike are now encouraged to donate books to or take as many as they like from the library. No deadlines or fees apply. Sully location has joined dozens of other LFLs elsewhere in Virginia and in neighboring Maryland. There are, however, only two of the sort in D.C., one on 2413 Huidekoper Place and the other on 3433 34th Street. All available spots around the world as well as in the Washington metropolitan area and across the US can be found at www.littlefreelibrary.org/ourmap/. The first LFL as a neighborhood book exchange was opened in 2009 by activist Todd Bol in his home state of Wisconsin. He later founded a non-profit organization to spread the altruistic practice, inspiring readers and strengthening communities worldwide. Bol, a former public school teacher, lost his life to pancreatic cancer at the age of 62 in 2018 but today, anyone anywhere can build and register an LFL or buy a kit or pre-built library from the website he started www.littlefreelibrary.org to become a library steward and join the ever-expanding movement. The organization also partners with www.books4schools.com to offer discounted books for volunteering library curators and caretakers. Promoting its motto “Take a Book, Return a Book” with operations managed from a headquarters based in Hudson, Wisconsin, LFL says on its 10th anniversary that it has so far helped people exchange more than 120 million books.